What a wonderful old photo! 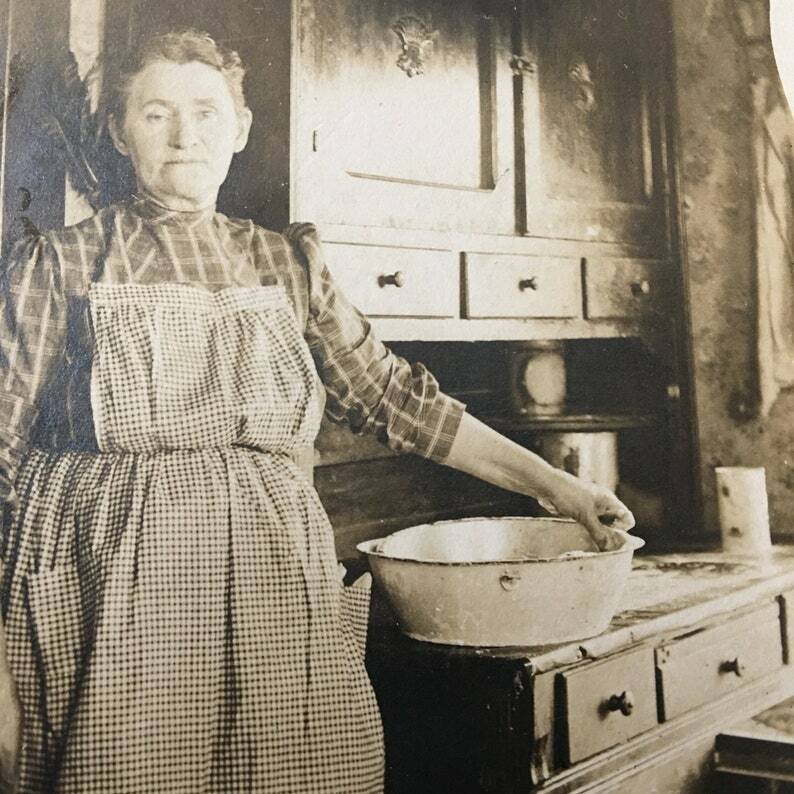 Identified on back as “Granny, America E______ Bailey Rickett (Pickett?)”. America is wearing a gingham apron & standing next to her possum-belly Hoosier cabinet in her kitchen where she’s making maybe bread (biscuits? Pie crust?). Mmm! Circa late 1800s- early 1900s. Abt 4-5/8 x 6-1/4” with light soiling, wear, pinhole at top & chipping to cardstock mounting.